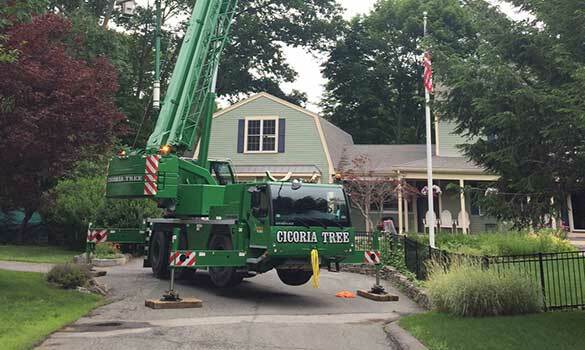 Cicoria Tree & Crane Service is a full-service tree care company that has been family-owned and operated since 1981. Each member of our team truly cares about trees and is dedicated to satisfying our customers. Cicoria Tree has served thousands of North Shore residents for over three and a half decades and has a reputation built on prompt, courteous, first-rate service. Cicoria Tree is the ONLY independent tree care company in the area awarded TCIA Accreditation. See us on "This Old House"
A good tree climber is the foundation of our industry; it takes a special combination of experience, talent, strength, artistry and confidence. You, and your trees and property, are important. As expert Arborists, you can rely on us to be committed to uncompromising craftsmanship, customer service and your satisfaction. If for any reason, you are not satisfied with our services, we promise to follow through to resolve your concerns to your satisfaction. Total professionalism. Thanks to Mark & his top notch crew. — John D.